As much of the country is facing the coldest days of winter, it sometimes helps to escape reality and plan your next adventure. 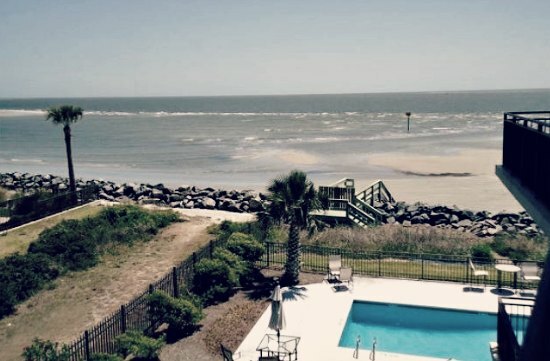 Spring is the perfect time for a getaway, and if you’re looking for a location that has something for everybody, St Simons IslandÂ has plenty of vacation rentals available. For those who want to take advantage of the coastal location, there’s plenty to do on the island. Hop on a bike and explore the island’s several miles of bike trails. Or get out on the water with a kayak, canoe, paddleboard, or jet ski. Take advantage of the nice sandy beach on a sunny day, or go to the top of the lighthouse for a spectacular view. Golfers and tennis players love St Simons for the many options available on and around the island. Not everyone wants to spend their vacation at full speed though. If taking it easy is more your style, stroll through the village and shop for souvenirs, clothing, jewelry, or antiques. Check out some of the many eateries available for some great local seafood, or just stop for a cup of coffee and enjoy the slower pace of life. The area has a rich past, and history buffs love to explore many of the notable sites of the past several hundred years. Between museums and historical sites, there’s always something to learn. If nature is your thing, you’ll enjoy many of the birds and animals native to the area right from your vacation home, but with a little more exploration, you’ll see much more. Visit Horton Pond for a beautiful setting, or stop in the Georgia Sea Turtle Center to learn about these fascinating creatures. If the only thing on your vacation to-do list is relaxation, then that’s okay too. We’ll help you find a vacation rental with a great porch, and between that and the beach, you can spend the entire time enjoying the slower pace of life on the island. Nearby spas will also help you reach a state of total relaxation while here. If you’re looking for the perfect destination for your spring getaway, St Simons Island real estate has something for everyone. Whether you’re an active go-getter or need a place to slow down, we can help you find the perfect home for you and your family. For more information on vacation rentals, contact DeLoach Sotheby’s International Realty.